“Connaught Road Council Schools” is what it says above the main entrance which suggests, quite rightly, that there were once several schools on the site. Today there is arguably less than one. That’s no bad news though. The “Connaught Annexe” has just opened as a satellite branch of nearby West Hove Infants School following years of uncertainty. The building was designed by Thomas Simpson and built by John T. Chappell at a total cost of £12,180. 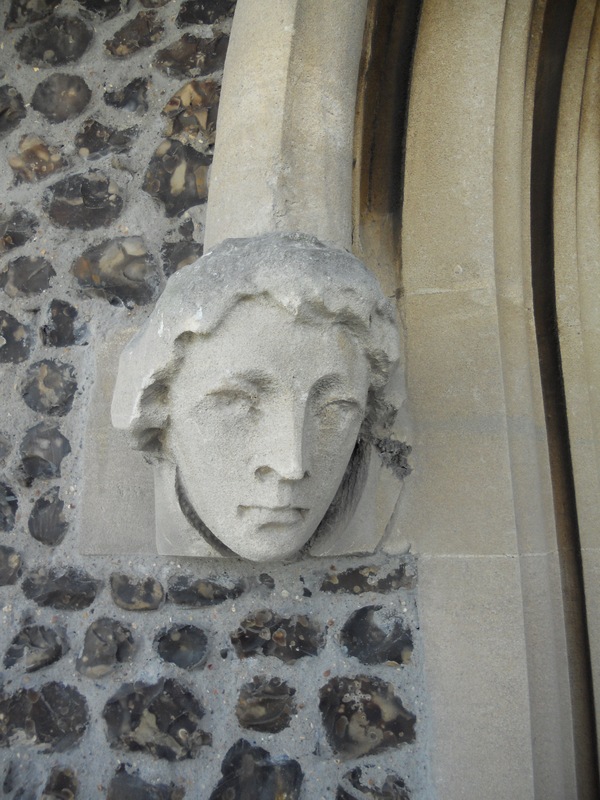 Simpson was also responsible for Downs Junior School, Finsbury Road School and St Luke’s School in Brighton. The Connaught is his only surviving building in Hove. I first came across the imposing structure during its time as the Connaught Adult Education Centre. It may be a Victorian edifice but my connection was Egyptian Art Deco – that was the subject of the course that I was attending courtesy of local expert Sarah Tobias. The first schools officially opened there in 1884 with 229 boys, 160 girls and 241 infants (presumably the infants were also boys and girls) but sadly closed in 1984, one hundred years after it opened. Separate entrances originally existed for teachers, junior boys, junior girls and mixed infants. 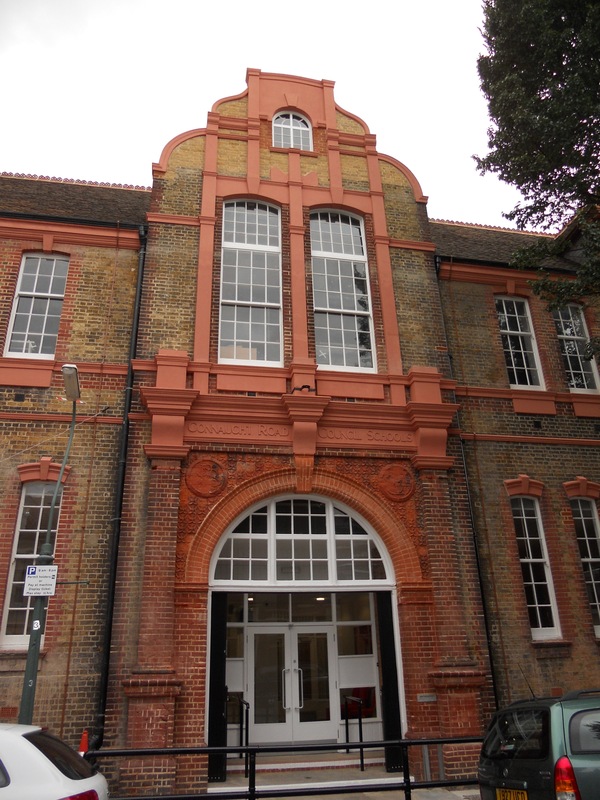 Following the Connaught’s spell as an adult education centre, demand for school places in lower Hove has assured its rightful position as a school for local children. 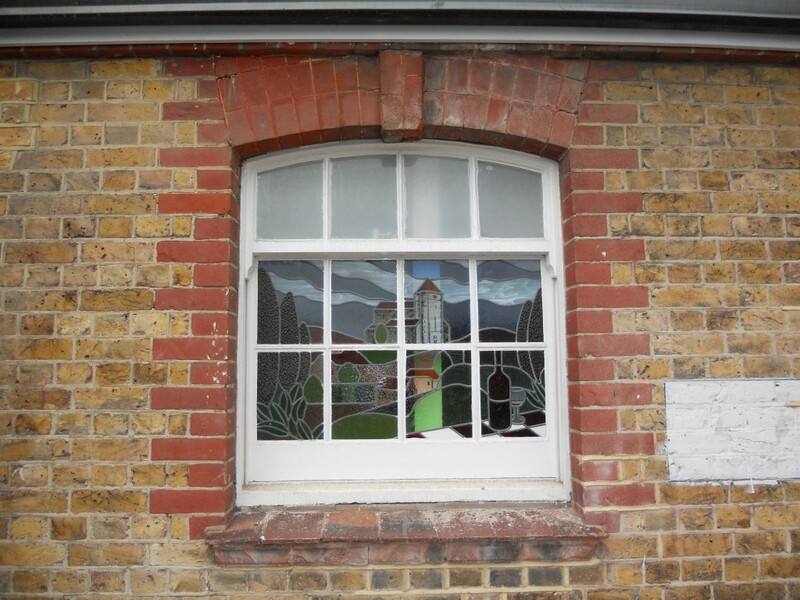 The Conaught Annexe will certainly be run by West Hove Infants, a successful local school, for its first two years. I’ve met West Hove’s excellent headteacher, Wendy Harkness, before and was fortunate enough to meet the Connaught Annexe site head, Louise Smith, on my recent tour of the gleaming refurbished building. It will eventually have three years of infants but for now there will be just three forms of reception-age children, 90 in total, with the other years added in due course. The tough choice of what to do about a junior school will have to be made soon too. Although work is still underway, the building is clearly an excellent example of a Queen Anne-style school. Its first-rate state of preservation internally and externally helped Brighton Society members, including Ninka Willcock, in campaigning for its Grade II listed status in 2009. Without that victory, and a successful campaign from Mike Weatherley MP for it to become a school again, perhaps we’d now be looking at a Tesco petrol station instead of a fabulous new educational establishment. I always see scaffolding as an opportunity for a column. It was hard to miss that which is currently in place around St John the Baptist’s Church in Hove so when I was there discussing the Impact History Project with local charity Impact Initiatives, it made sense to go for a climb at the same time. Although not immediately obvious, the location of St John’s Church is of interest. The site straddles the boundary between two historic landholdings – the Goldsmid Estate (Adelaide Crescent, Palmeira Square, etc) and the Stanford Estate (the Avenues, etc). The owners of each, Isaac Lyon Goldsmid and William Stanford respectively, gave the necessary land to allow the project to go ahead. Several types of stone were used in the construction of the landmark structure. 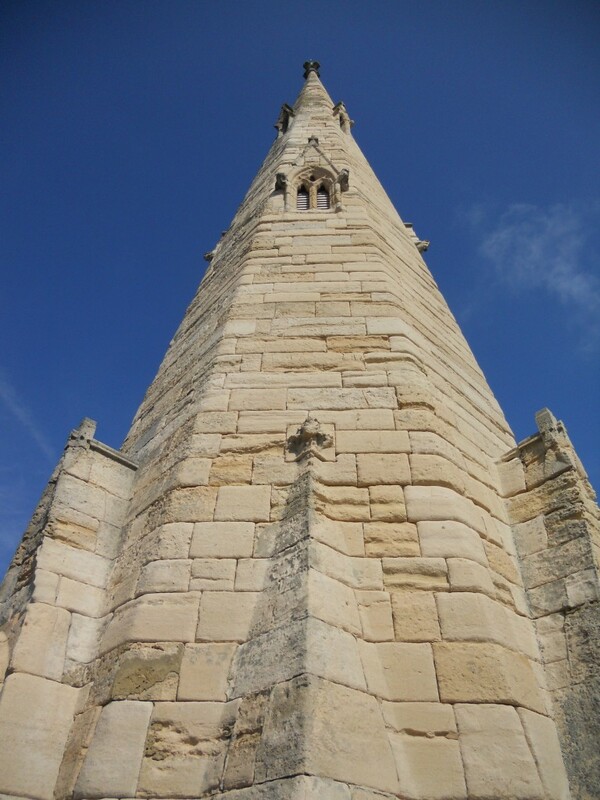 Work began on the original Caen stone and knapped flint edifice in 1852. I was more interested this time though on the Bath stone spire that was added in around 1870. At 160ft, it is certainly the tallest in Hove and may well be the tallest in the whole city. Those proposed for All Saints and St Patrick’s nearby were never added after all. In only having ever seen the spire from the pavement, I was fascinated to see it – touch it – from the top of the scaffolding. The small details are the best. One gargoyle, which appears tiny from the street, has hooves. Another has reptilian claws. Nigel Rose from Universal Stone, a sub-contractor on the restoration project, showed me some of the damage that has been caused by the use of cement instead of lime in repairing the mortar joints between the pieces of Bath stone over the years. When water has unable to escape through the unwelcome cement joints, it has left through the stone instead – and caused decimation in the process. If lime had been used, the water would have been able to escape and the stone would have stayed in place. On this particular job, the mortar mix is three parts sharp sand to one part lime (NHL 3.5 in case you were wondering). Coal dust is added to darken it. The Impact History Project culminates in an exhibition at the church which brings together memories and photographs of the building. It is being held at the St John’s Centre, part of the church, from 19th September for around two weeks. I can’t wait to learn more. When I heard in June that the Grade II* listed Palace Pier had been put up for sale, I was overjoyed for several reasons. 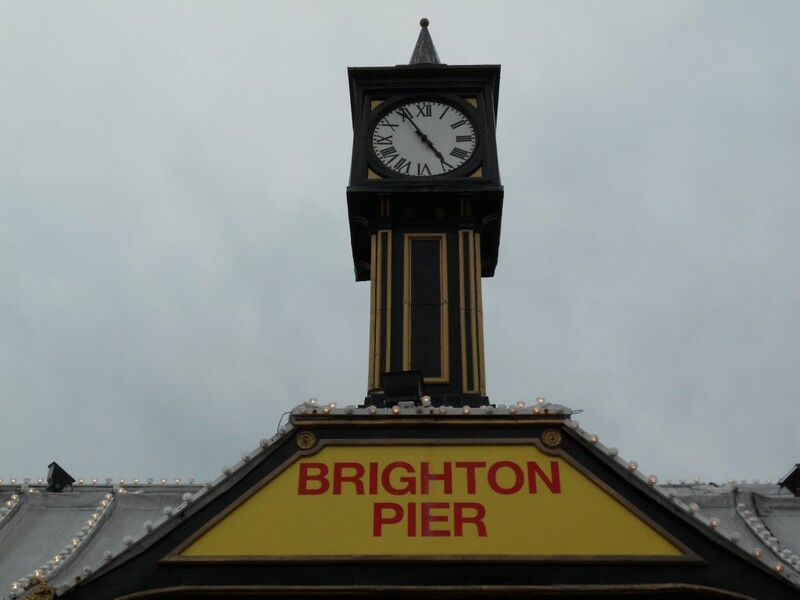 Firstly, like so many residents of Brighton & Hove, I have been frustrated since 2000 when the current owners, Noble Organisation, began calling the Palace Pier the ‘Brighton Pier’. A sale should lead to this being remedied. Secondly, like so many local conservationists, I have been wondering for years exactly what happened to the Palace Pier Theatre that was put into storage in 1986 on the understanding that it would be replaced. A sale should throw light on its location and condition. Thirdly, like so many people who have tried to buy food on the pier, I have been left disappointed. A queue, a broken machine and a shortage of waffle mix ensured that I stayed hungry on my last visit. A sale would surely lead to a rise in standards throughout. 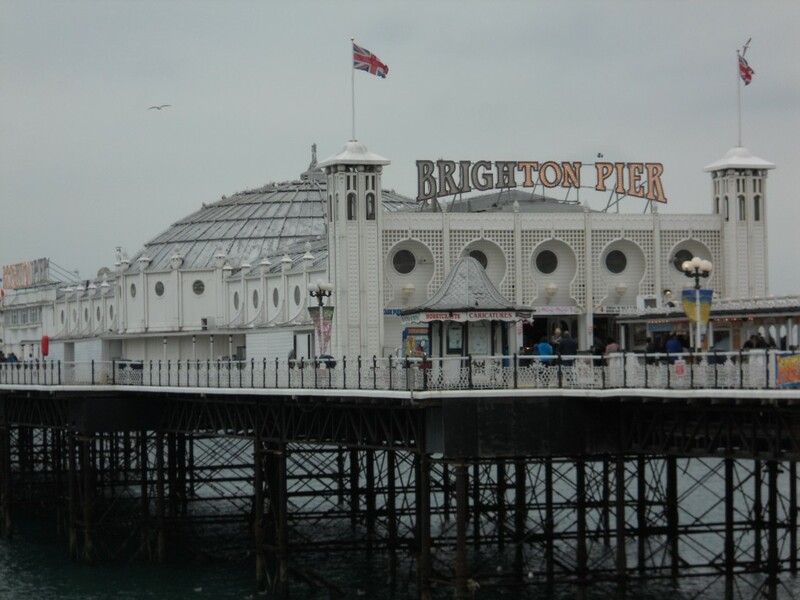 It would appear to be the case that it is actually the company that owns the pier directly, The Brighton Marine Palace & Pier Co., which is actually for sale. The company’s origins can be traced back to the late 1880s when it was it was formed to build a new pleasure pier. Construction was allowed on the basis that the nearby Chain Pier would be removed. As it turned out, the Chain Pier was destroyed in a ferocious storm in 1896. Pieces of that pier, in an ironic twist, severely damaged the Palace Pier, which was under construction at that time. The first section of the Palace Pier opened to the public in1899 with other sections following soon after. It has been added to and remodelled on a number of occasions over the years; and modifications have tended to be for the better. The aforementioned Noble Organisation bought the pier in 1984 and, in 1986, removed the already damaged Palace Pier Theatre. I’d love to know more about where it is now. The mystery surrounding its whereabouts may be unfounded but, either way, an answer is needed. Other changes made by Noble, such as increasing the size of the pier and adding more rides, have been hugely beneficial. A new vision to take things forward is now required. To sign the petition calling for recognition of the Palace Pier’s proper name, see www.petitionbuzz.com. To buy this international landmark, speak to GVA Humberts Leisure. I’ve kicked myself each year when I haven’t made it over to 1A Whichelo Place, the Hanover home of Jackie Strube and Alan Stone, during Eco Open Houses. The triangular plot, which is surrounded on all sides by terraced housing, is thought to have been used as a builder’s yard until it was snapped up by Jackie and Alan at a Clive Emson auction at the Grand Hotel in 2005. It had planning permission in place already, but not for anything special. Simon Atkins, now of ABIR Architects, designed a new building for the site. 1A Whichelo Place is accessed via a generous driveway that has parking for at least two cars; a rarity in Hanover. The first hint of its eco credentials stems from a glimpse of the sedum roof to which visitors are treated as they descend the steps leading to the front courtyard. The next clue is the coppiced sweet chestnut cladding from Inwood Developments. I have visited that firm’s factory in Whitesmith near Lewes and remain a big fan. From almost any angle, it is hard to appreciate the shape of the building. Only from above is it possible to really see what’s going on. A large lounge/kitchen is at an angle with respect to the rest of the structure. That room’s internal doors cleverly slide away into the walls to save space and preserve light. The skylights help here also. The exterior doors and windows feature double-glazed units in pine frames which are clad in aluminium. There is lots of greenery around the house and behind is another courtyard garden with a rather cute three storey sparrow box and a ‘tangled’ area to attract wildlife. Whisky barrels act as butts for collecting rainwater from the roof. My favourite feature is in fact the bright orange kitchen worktop which can be supplied by Resilica in Newhaven. It is made from recycled glass so is very much an eco feature as well as being incredibly striking. There is a polished concrete floor throughout which I particularly like, along with underfloor heating. 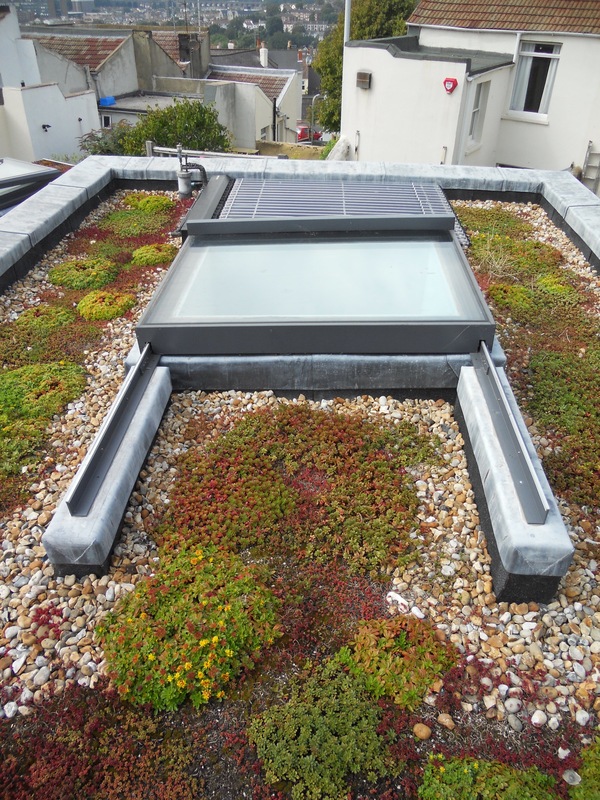 The house is well insulated and there is a solar thermal panel on the roof so fuel bills are low. Gas, for example, is £12 per month which reminds me how much I would like to build my own eco house one day. 1A Whichelo Place is open on Sunday 11th September. See www.ecoopenhouses.org for details.